Have you done this yet? It took me three times to do the surgery in time. 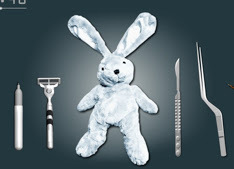 Click here to perform surgery on the bunny. For as silly as it is, you get to where you can't stop until you save the life of this poor bunny.